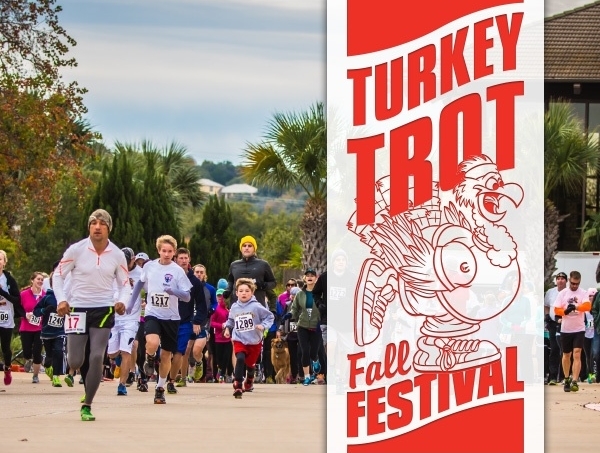 Celebrate the holiday with us and get a jump start on burning those calories by participating in the 22nd annual 10K run 5K run/walk and 1K Kid's Trot! Dress up your furry friends for the Rock the Flock Parade and invite the entire family to the 12th annual Fall Festival! Enjoy Inflatable fun, a pie eating contest, musical hay bales, a face painter and other fun the entire family can enjoy! Race registration includes attractions at the Fall Festival proceeding the race. Sign up early to receive a discount or register the day of the event.